The Asia Pacific Glaucoma Guidelines (APGG) were first released in 2003. The third and latest edition was unveiled in 2016 during the Asia Pacific Glaucoma Congress at Chiang Mai. The guidelines follow the “easy-to-read” format seen in previous editions. Information is provided in the form of “why”, “what”, “when” and “how” questions and answers. The guidelines consist of an Introduction as a prologue, 3 main sections and an epilogue of appendices, definition of terms, abbreviations and references. Section 1 on patient assessment broadly deals with evaluation of a glaucoma suspect. There are also short notes on gonioscopy; optic nerve head and retinal nerve fiber layer assessments; optic disc photography and imaging; and finally visual field examination. This section also deals with risk categories and treatment targets. 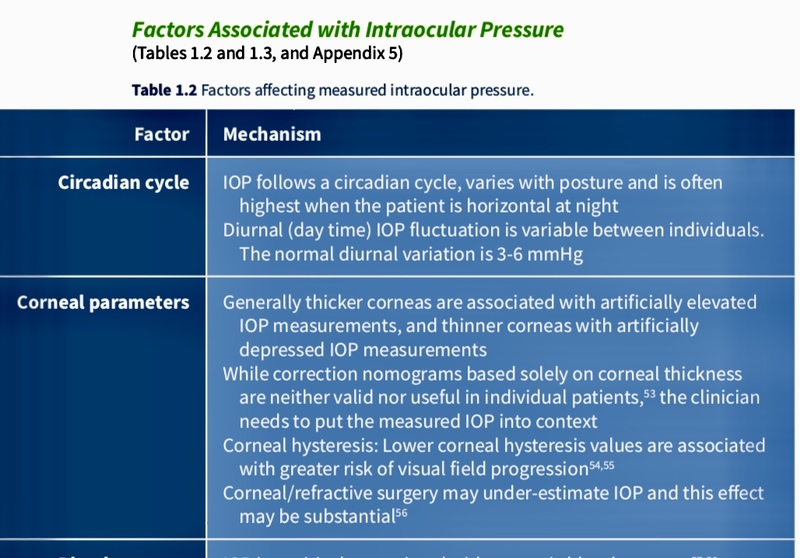 According to the APGG, intraocular pressure should be reduced by 40%, 30% and 20% from baseline in glaucoma with high risk, moderate risk and glaucoma suspects with moderate risk of visual loss respectively. 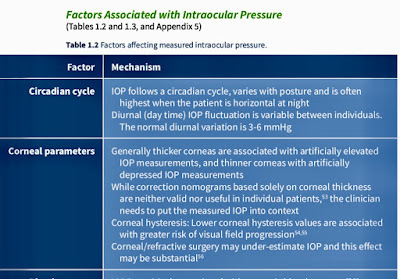 Regarding central corneal thickness (CCT), the APGG provides the following statement: “While correction nomograms based solely on corneal thickness are neither valid nor useful in individual patients, the clinician needs to put the measured IOP into context”. Section 2 starts with initiation of treatment. An important recommendation here is to treat the mechanism causing glaucoma (page 33). Another highlight is the emphasis on choosing the most appropriate medication with respect to the patient. Section 2.3 deals with laser treatments in glaucoma. While, Section 2.4 is on surgical techniques; touching on trabeculectomy, non-penetrating glaucoma surgery, glaucoma drainage devices and minimally invasive glaucoma surgery. Section 3 is on follow-up. This section deals with reasons why follow-up is required; the points to be looked at during follow-up and timing of the follow-ups. Section 3.2 highlights screening for glaucoma and other relevant issues. 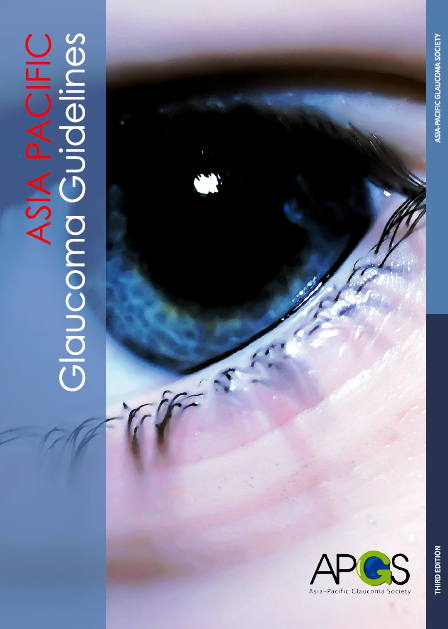 The appendix provides concise information on a number of topics such as: medical treatment of childhood glaucoma; treatment in pregnancy and lactation; systemic medications that may induce angle closure; calibration of Goldmann tonometers; tonometer mires; gonioscopy; goniogram/gonioscopic chart; modified Van Hedrick grading; how to optimize patient performance in subjective perimetry; common artifacts for visual field measurements; principles of management of secondary glaucomas; side-effects of glaucoma medications; laser trabeculoplasty; trans-scleral cyclophotocoagulation; glaucomatous optic neuropathy; imaging devices; field progression; glaucoma quality of life-15 questionnaire; and other topics. Thanks for the post. Glaucoma should be diagnosed and treated at early stage to save the vision. If you found glaucoma treatment expensive, adopt vision plans by DentalSave like me.